SANITT is the leading manufacturer, exporter and supplier of Stainless Steel Pallet Truck which is a strong & long-term investment. 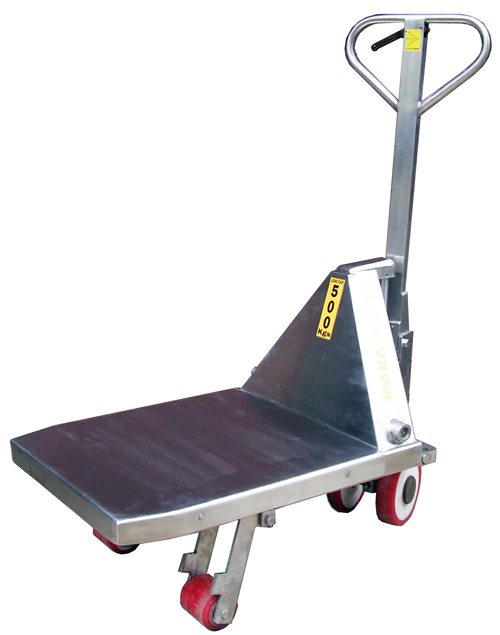 Stainless Steel Pallet Truck are intended to move heavy or light pallets/goods. It is used in various industries like pharmaceutical, food & chemical industries. 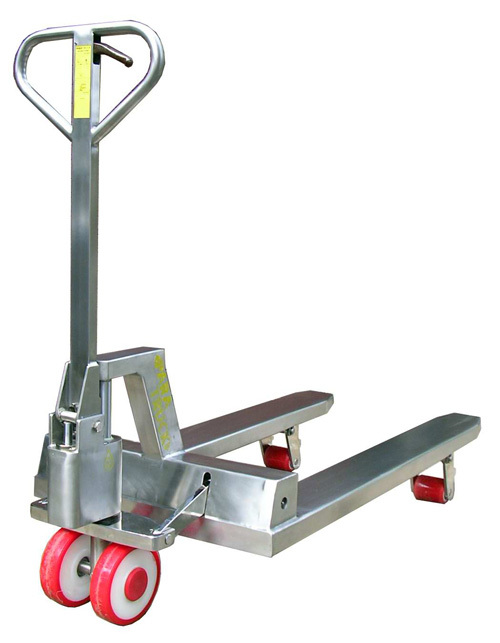 Sanitt offers Stainless Steel Pallet truck which is built for last, highly reliable. Capacity : Stainless Steel Pallet truck has 2000, 2500 kg divided load bearing capacity. Material : Stainless Steel 304 quality.